Lord knows the conversation of pimples, zits and blemishes are not a girls favorite subject. But it must be discussed so you know how to remedy the situation if an emergency occurs. I’m sure you already know the basic go tos: Ice to calm down inflammation, Visine to make the red chill out, toothpaste to dry out the area. What I’m about to share with you is not to heal the area but how to disguise. Usually the color of the area is what draws your eye to this problem area. If you use a green concealer stick it will cancel out the red color. But do you know about the white eye shadow trick? Makeup is all about reflecting light and tricking people’s eyes to focus on a different region. 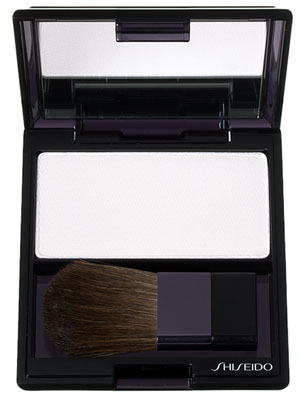 A fabulous trick is to use a dab of white eye shadow to reverse the light. Sounds strange but this is an old modeling trick that seriously works. To make sure the shadow doesn’t budge swipe some translucent powder on top. Use sparingly with the shadow- you don’t want to look like an unicorn. Test it out and let me know what you think. Bridal Makeup. Different looks+ how I would fix past Brides. Tags: acne, Beauty expert, bride makeup, makeup, makeup tips, makeup tricks, pimples, skin, zits. Bookmark the permalink.